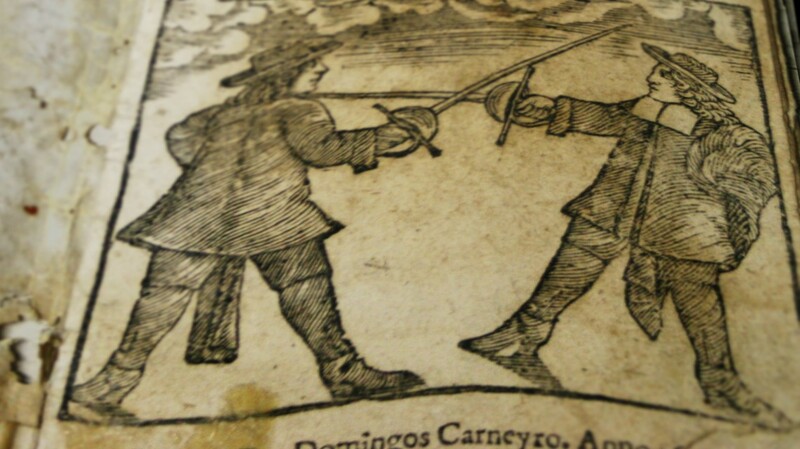 Uses & customs in Iberian fencing salles of the sixteen and seventeenth centuries: safety regulations and equipment; traditions, rituals & salutes; scoring in tournaments; teacher’s wages and teaching methods. This brief article describes the history of Verdadeira Destreza in Portugal between the XVI and XVIII centuries. 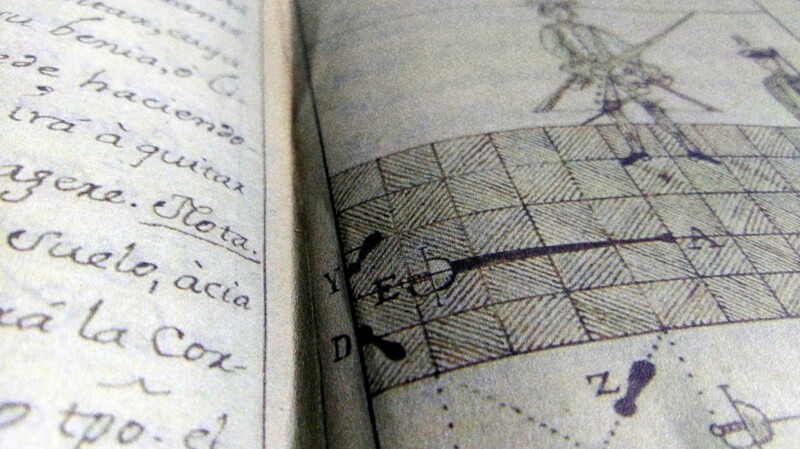 It presents the fencing scene as it probably was at the time, sets context for the apparition of Verdadeira Destreza and its eventual displacement of the older common fencing style and lists and describes the known sources. We reproduce here an excerpt from the 2009 article «Un texto de Esgrima Española del Siglo XVI» which Manuel Valle Ortiz and Mary Dill Curtis wrote for number 7 of the Materiales para la Historia del Deporte publication, from the Pablo de Olavide University in Sevilla.